The Google AdWords keyword planner tool added a feature to get forecasts for campaigns or keywords from your existing accounts. 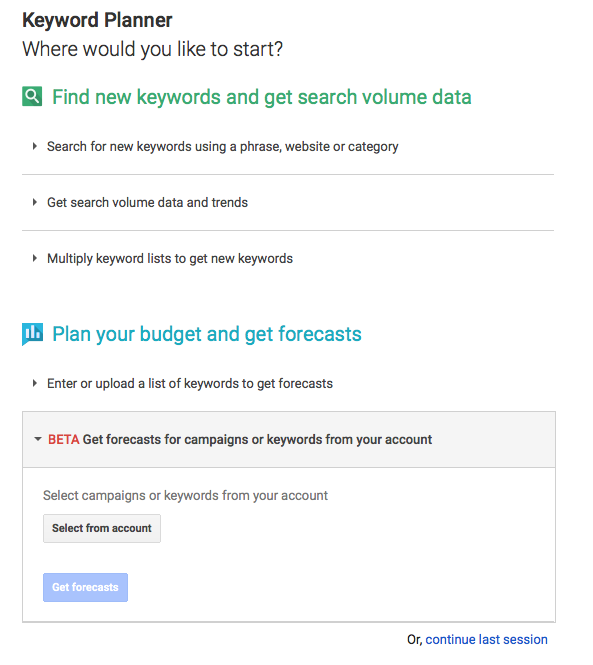 Google announced this on Google+ saying you can now automatically import your existing campaigns into Keyword Planner. Google wrote you can use it to upload your existing keywords, inform budgets, and project the impact of adjusting bids. To help you save time when doing this, "Keyword Planner now lets you automatically import your keywords directly from your campaigns and ad groups into the tool," Google added.